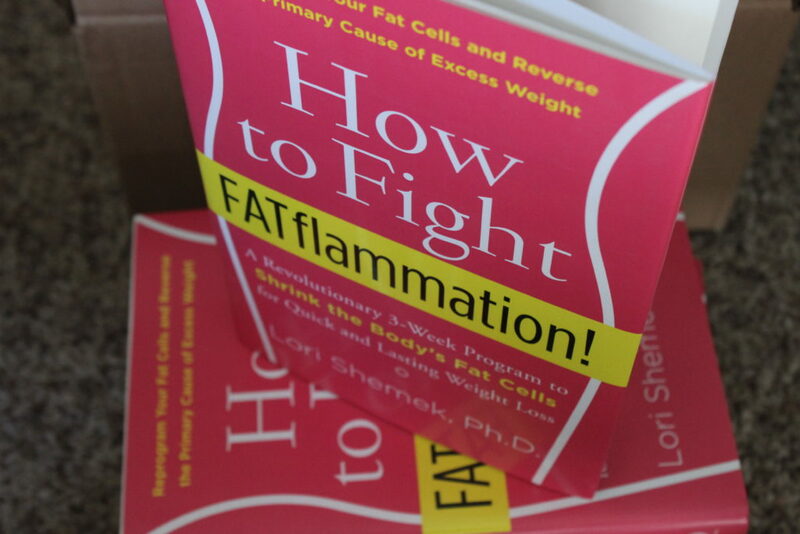 How to Fight Fat flammation book give away is what I’m doing for friend and colleague Dr. Lori Shemek. Dr. Lori has helped me out in many ways, she’s come on for interviews, she’s offered advice and even joined us for private Q&A session for our Monthly Membership Group. So I thought it would be fun (and helpful) to do a book giveaway for her! If you’d like listen to our full interview on this fantastic book you can click the play button at the top of the page or you can visit Exploring Mind and Body which will take you to the full blog post and show notes here. #1. Scroll all the way up to the top of this page and hit the play button or to listen click here. #2. In the comments section below this post, briefly tell me why you’d like a copy of her book. #3. That’s it! Seriously. All you have to do is listen to the interview, and leave a comment in the comments are below this post and tell me why you’d like a copy. #4. You’ll then be entered into a draw for a FREE book! #5. You will be contacted through email if you are the winner, we’ll also be announcing the winner on the True Form Facebook page. 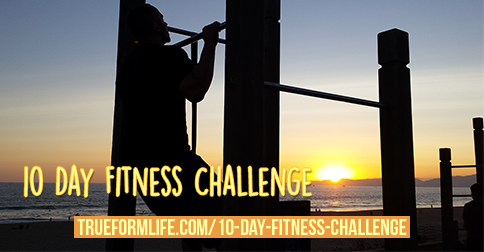 If you aren’t part of our True Form community, to stay updated on healthy tips or you can also join our FREE 10 Day Fitness Challenge. So who is Dr. Lori Shemek? She is a leading health and weight loss expert and also known as “The Inflammation Terminator.” She has made it her mission to help clients lose weight and educate the public on the toxic effects of certain foods and lifestyle choices and how they create inflammation in the body resulting in weight gain. She is a leading authority on inflammation and its role in weight loss, preventing disease and optimizing health. 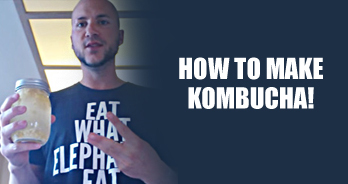 What is ‘How to Fight Fat-Flammation’? Support Dr. Lori and her mission to help Fight Fat Flammation by purchasing your own copy here! DON’T FORGET TO LEAVE YOUR COMMENT BELOW TO BE ENTERED IN FOR A FREE BOOK!!! I would love to read this book. I have been fighting fat my whole life and still haven’t won the battle! Sometimes I think why bother, but I never seem to give up, at least not for long. Hi Jane! The core cause of weight gain is inflamed fat cells and foods that stop your liver — your #1 fat-burning organ from doing its job optimally for you. Any weight loss plan should also create optimal health for life. I’m here supporting you! I would like to know more about this fatflamition i hope to win please i would like totighten my skin that is starting to lose elastisity and colilagin. I hope you do Donna! Am super interested in reading Dr. Lori’s book. I’m frustrated with my weight gain (actually gained more fat after last exercise routine attempt!) & am looking for another way to approach it. Your frustration will end when you have the book Jennifer. Too many people feel so frustrated with their weight. The key is to reduce low-level inflammation within the fat cell and the best part is that while you are losing weight, you are creating optimal health. Hi! I would love to win a copy of Dr. Lori’s book. She is a wealth of information on this topic and I would love to gift it to a loved one since I already won a copy in your private Monthly Membership Drew!! Hi Vanda! Thank you for your kind words and I hope you do! I’d love to win a copy of Dr. Lori’s book and learn more about what Fatflammation is. I find all of her Facebook comments and recipes interesting and she’s always a wealth of knowledge. Would love to know more. I follow her on facebook and love all her insightful posts. Thank you for your kind words Lu-Ankia! I have been struggling with health issues just this year with contracting EBV and hypothyroidism. I’ve always been a very picky eater and I know her book could help my illness and help me live longer. I want to be around to see my new grandbaby grow up and be able to enjoy life with my husband. And really, I just want to feel better. Thank you! I hope you feel better Karen, I’m so sorry you have been going through this. I love Lori and she inspires so many. I have know her on FB for years as we had the same type of dog. I hope to meet her one day as I am now a student studying Holistic Nutrition and want to incorporate her philosophies in my future career. Thank you sweet Donna, for your very kind words and heart! I’m very excited about your new career and all of the hard work you are doing right now to get there. I’m here supporting you!